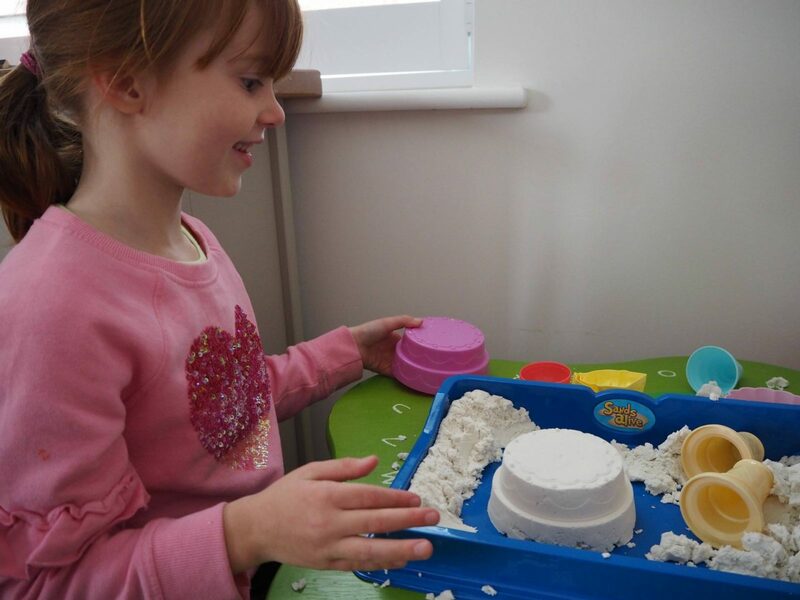 Over the last year we’ve reviewed both the glow set sands alive and the cake shop sands alive set, but it was only Alice who was old enough to play with it. 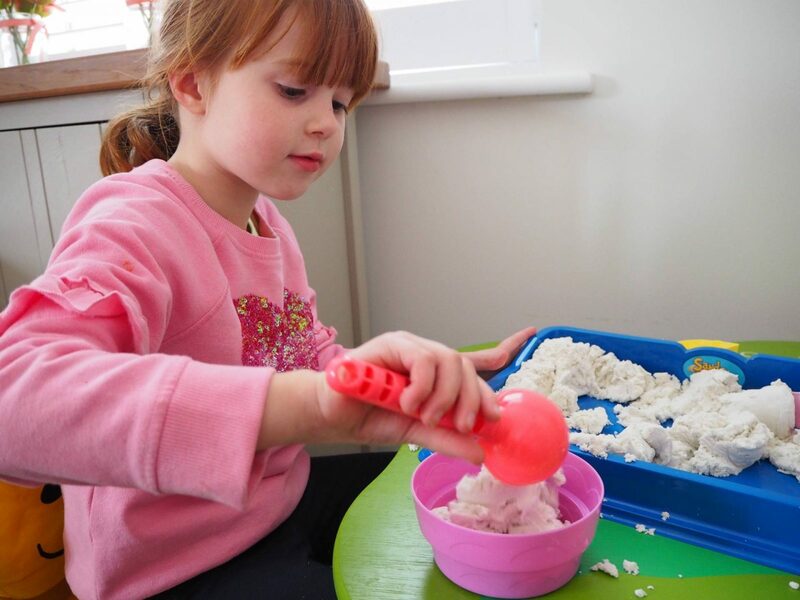 So, when we were recently sent the Sands Alive Sweet Treats set, Holly was really excited when I told her she could now play with it. Holly LOVES sand, when she is in the garden I can’t get her out of the sand pit. But now the colder days are here we are spending less time out in the garden. Sands Alive is perfect for my sand loving little girl. Her eyes lit up and she couldn’t wait to start playing with it. If you are not familiar with Sands Alive and wondering what I am going on about. Let me explain. 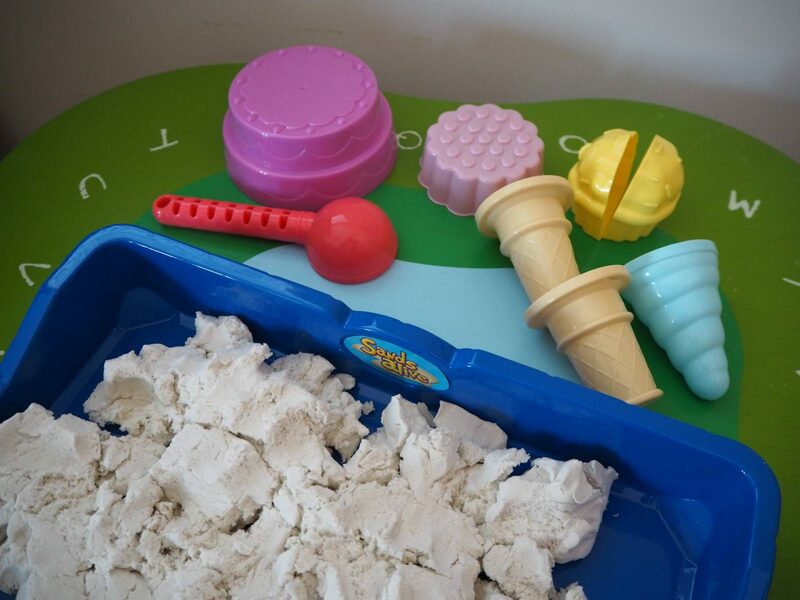 Sands Alive is a super soft modelling sand set and it comes with sand, a tray, cake and ice cream moulds. A great feature is that the sand doesn’t dry out! 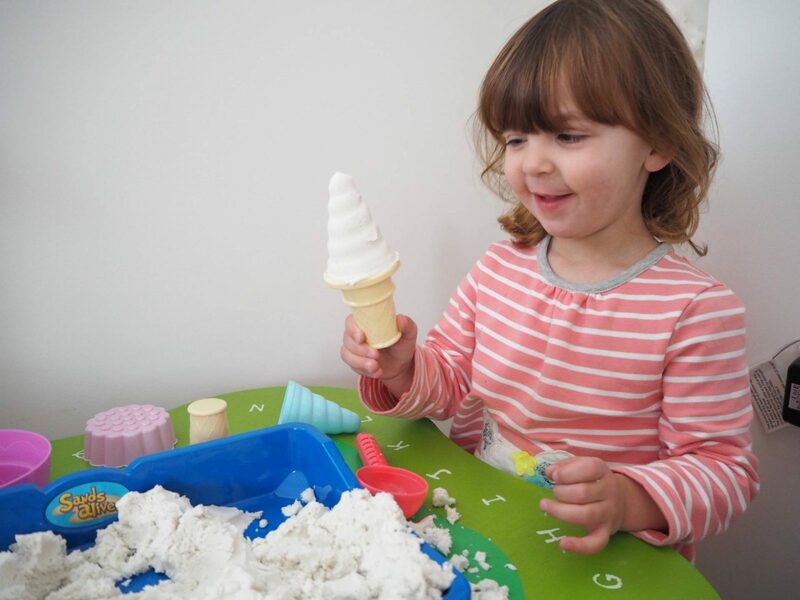 The Sweet Treats set comes with an ice cream scoop, cones, cake moulds and a cupcake mould, perfect for Holly whose favourite food is ice cream. 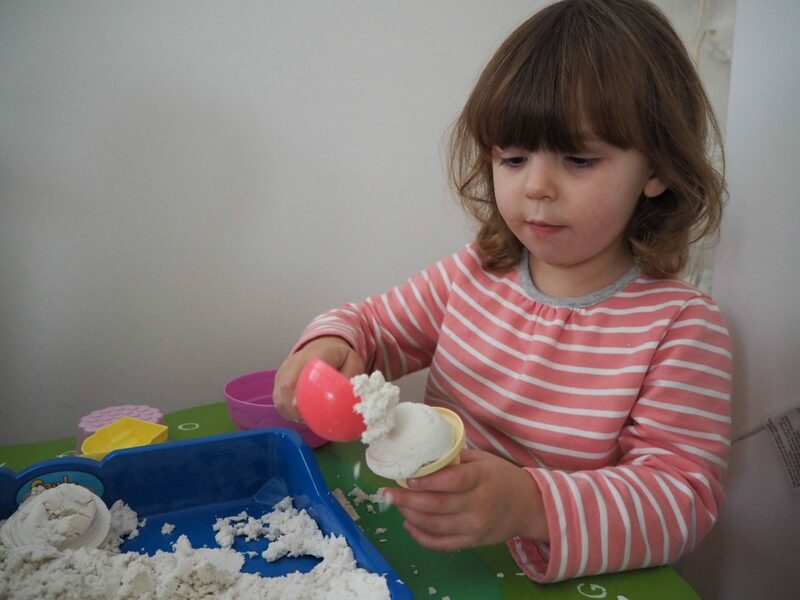 She couldn’t wait to get started and didn’t need any help from me, which is great as I can get on with some jobs around the kitchen while she sits happily making me ice cream and cakes out of sand. Alice was outside with Andy, but it wasn’t long until she spotted what Holly was doing and wanted to join her. It’s great that this is something they can enjoy doing together, with enough accessories to go around. Alice set about making the cake! 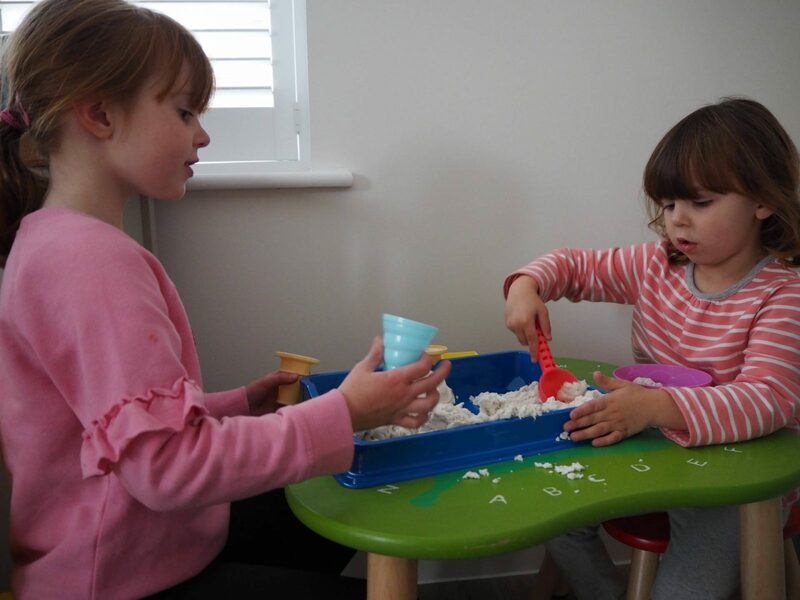 I honestly think my girls would happily play with Sands Alive for a couple of hours, they never seem to get bored of it like they do with other things. It’s always me that instigates tidy up time. I do try and get the girls to keep it in the tray, but of course there are always going to be bits that end up on the table and floor, but its hoovers up really easily. Once the girls have finished it’s really easy to pop everything back in the tray and into the box ready for next time. 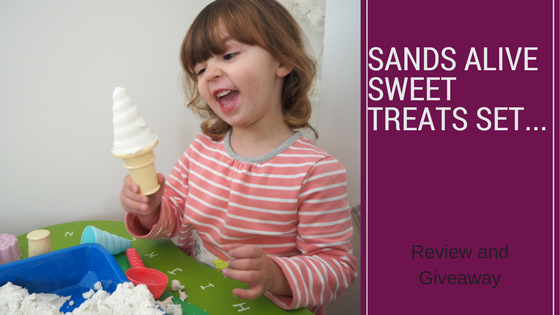 The Sands Alive Sweet Treats set is RRP £18.40 and available to buy from Amazon. If you are looking for other craft ideas for children, head over and check out the John Adams Craft Club on Facebook. Disclosure: We were kindly sent our Sands Alive set in return for an honest review, all views and opinions are my own. This looks amazing. My eldest would absolutely love this. I’ve made a note and will be putting it on his Christmas list this year. Thanks for the review! This looks like such fun. I’ve not heard of sands alive before but my son has started enjoying playing with sand at pre-school so I’ll definitely add this to his Amazon wishlist. 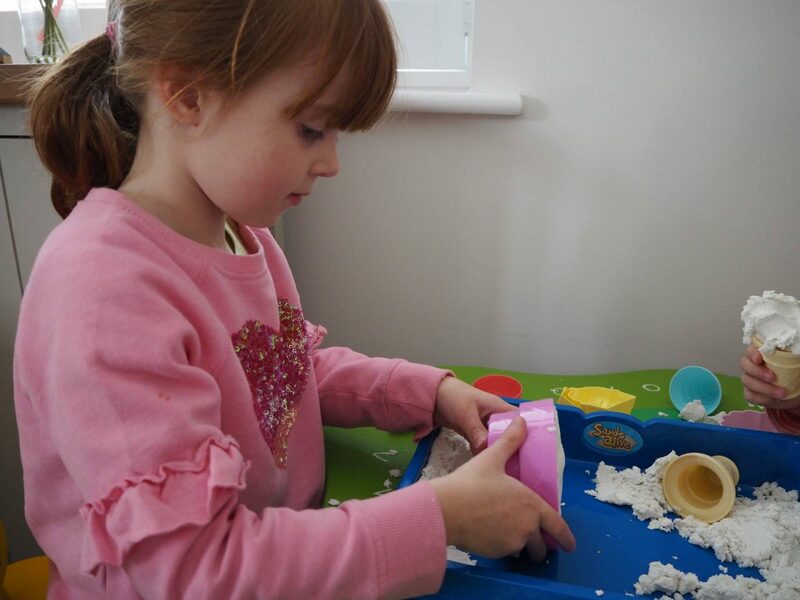 my two children love Sand Alive or Magic sand! They received one set each last Christmas. But I have to be honest it’s so easy to make that sand! One cup of flour for 1/2 of vegetable oil! Et voila! My nephew would adore this! My daughter – she’d love it thanks! Oh their little faces really make it clear just how much fun they are having! This looks great fun! This would be great for both of my kids to share together. Both my son & daughter would love this! This is awesome! I love the idea of this sand and my little guy is a sandpit fiend! this looks like loads of fun, we just had the opportunity to play with the sands alive glow which was awesome. Already looking at investing in some more sets for the kids, this looks ideal. Ah my girls would LOVE this! 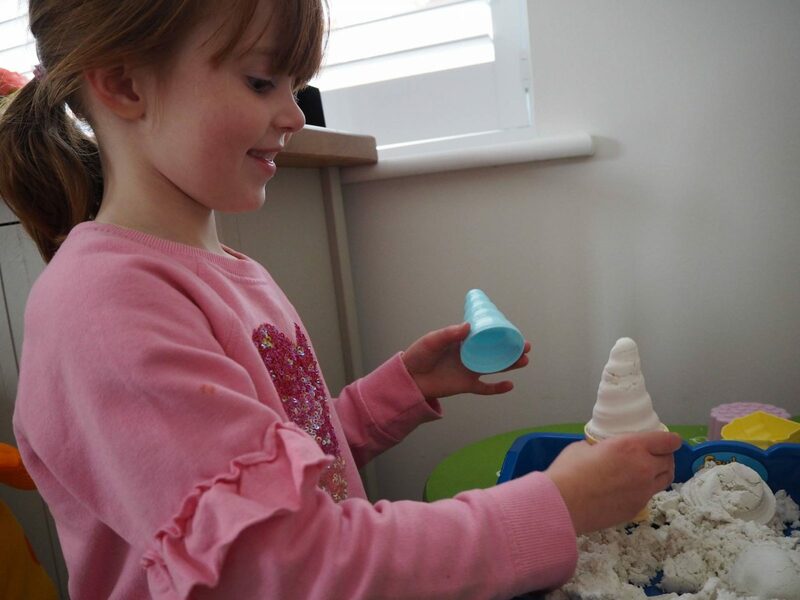 They are obsessed with playing at making ice creams, and they love Sands alive, so this would be perfect! My neice would love to play with this! She likes to let it squidgy between her fingers! My two girls would just love this! My daughter would love this she would have so much fun with it. My daughter would absolutley this, we would have hours of fun. My daughter Sophia would love this! My son who loves to make pretend ice creams! my nephew would love one! I think my niece would love it. She really enjoys playing with regular sand. My niece who loves all things craft. My son would love this! He loves magic sand – I think basically anything that has a youtube presence is winner in this house. My daughter absolutely loves playing with sand she would so love this. Thanks for a really good review and the giveaway. It will be for my daughter. She will love it. My daughter has the basic Sands Alive set and would absolutely love this one! My daughter has this on her Christmas list 🙂 she loves all the sand sets and they keep her occupied for hours. Part of me say that I would! But I know that my nephew would love it. I would love to. Think I would have just as much fun as my daughter would. Thanks for the chance of Winning one. I would love this for my nephew i know he would enjoy it. My granddaughter would love this. She has a play kitchen with a sink, “stove” and “microwave” and play food made of wood, felt or plastic. I think she’d enjoy making cakes, ice creams and other food with the sand. My kids would love this. We’ve tried to make our own but it’s never quite as good. My granddaughter. 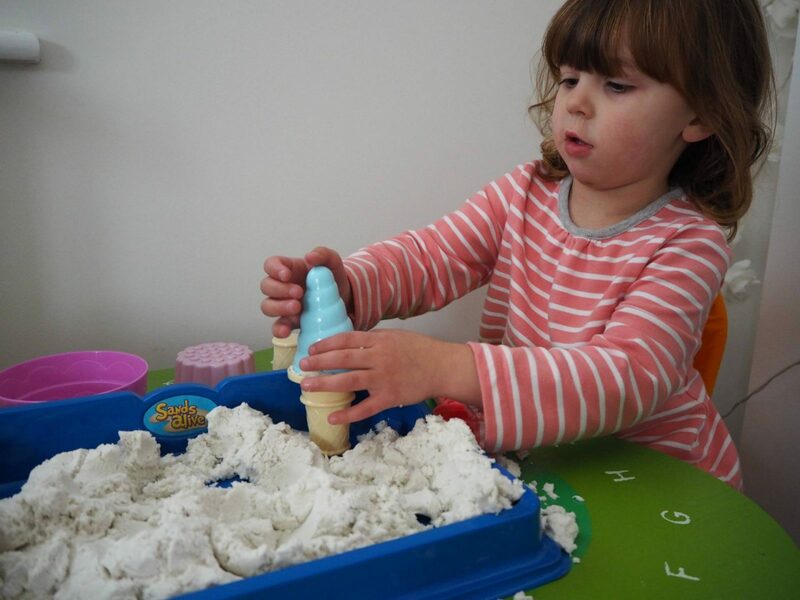 She loves to play outdoors in her sand pit and this would be ideal for indoors. I would love to win this for my nephew who would adore it. my 9 year old twins and their 4 year old sister would enjoy playing with this together, it looks like it could keep them entertained for quite a while! My niece Jodie, she loves anything like this. For my beautiful god daughter! Our youngest would love it but I suspect she would have help from the others. My son would love this he loves playing with sand. This would make a great gift for my goddaughter, she loves making sandcastles. My little Grandson would love it he’s on the autism spectrum and this type of play is really good for him. My son Ronan would have hours of fun with this magical sand! My five wonderful grandchildren would love this! My niece Maddison would love this! My little boy would love to play with this. My daughter, she would love this, she loves Playdoh so I am positive she would love this. A wonderful Christmas present. My great-niece Phoenix would love this. She’s very much into arts and crafts at the moment.